So I've put forward the case for Windows 10 Mobile in video form, plus I've shown that W10M is still relevant in 2017. But - like any intelligent person - you'll have been looking around at other smartphone platforms, eyeing up shiny new phones. It's only natural. Which is why I wanted to set down my thoughts on how the three* main platforms compare - which way should you jump? * OK, so the 'third ecosystem' is only in contention numbers-wise if you include Windows 10 on all form factors, but it remains the only real alternative to the big two on mobile: iOS and Android. I think I've been pretty fair above. I've not been shy about both praising and criticising the iPhone and iOS in the past, while I use several Android smartphones in my day to day rotation/life. But however much I try and look away from Windows 10 Mobile and - specifically - the Lumia 950 XL, I keep getting sucked back by the pros/advantages above. They're genuine advantages too, as I've mentioned several times. Yet they're undermined by the three cons/disadvantages, which are - if I'm honest - rather huge. The app selection most people could work around (see our directories of general apps and imaging/reading apps), with third party applications and services accessed though the Edge browser. 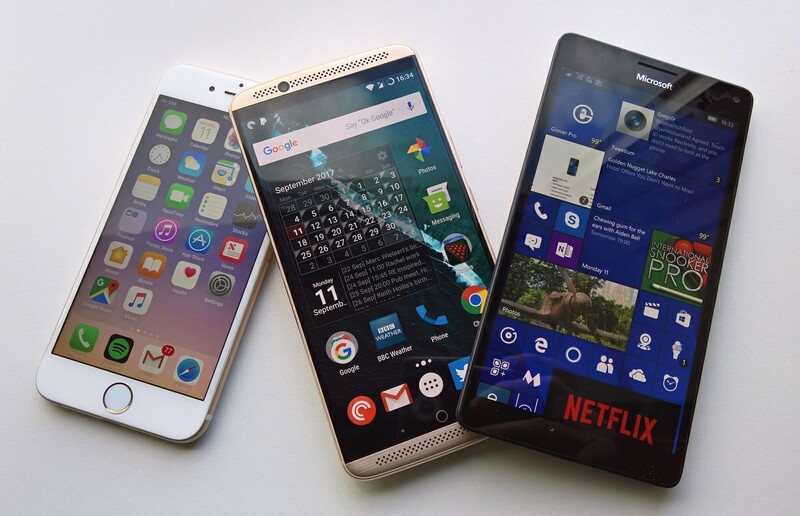 But the last one - limited new hardware is probably the killer in the wider phone market. Lumias are out of stock almost everywhere by now, the promised third party budget phones are still just IFA demo material and the Alcatel IDOL 4 Pro is effectively the only game in town, at least when wanting to pick up something brand new. For AAWP old hands, of course, you're wondering whether to stick with your trusty Lumia 830/930/950/whatever - in which case hopefully this table has given you food for thought. The grass isn't always greener on the other side, you see. PS. Of course, I've admitted that one of my daily phones runs Android and Rafe runs an iPhone as one of his main devices. I don't think that makes us hypocrites, it just means that we have at least one too many SIM cards! It does emphasise the usefulness of buying something running another OS, even mid-range and even second-hand, just to play with it and gain perspective on what you might gain and what you might lose in switching from Windows 10 Mobile!